Before visiting Ireland we really had never heard of Connemara or the incredible and interesting history that took place here. 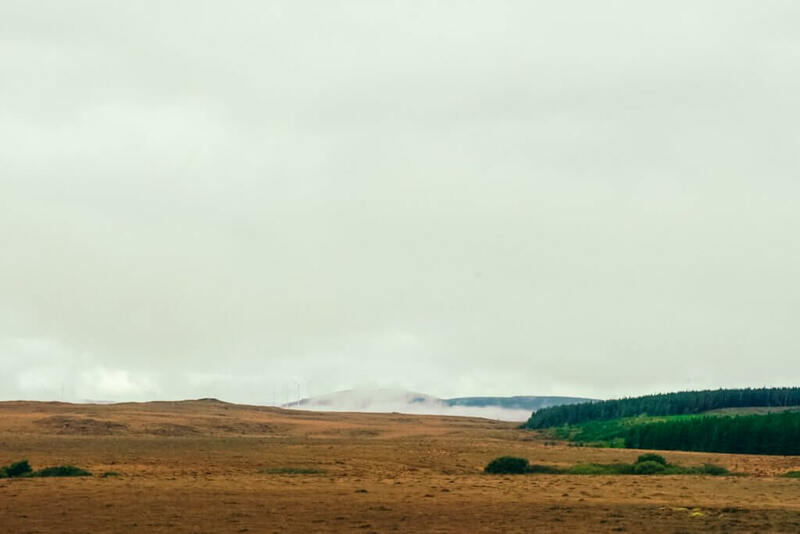 Besides being a location of important transatlantic history, Connemara is also the cultural and traditional heart of Ireland as well as home to a landscape that has inspired artists, poets, writers, and musicians for ages. All of these claims to fame are impressive on their own let alone all together which make up the beautiful, unforgettable, and mesmerizing Connemara. 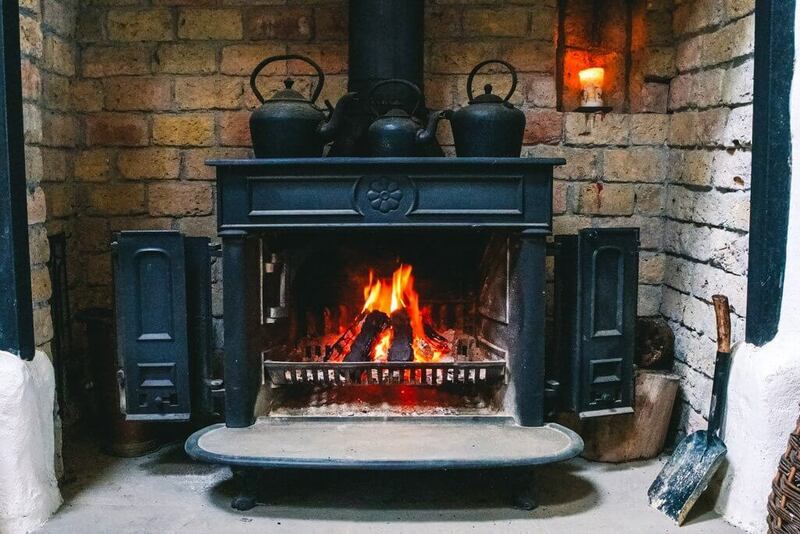 Find out why Connemara is our pick for the most interesting place in Ireland. Connemara is the one place in Ireland where you will find the most Gaelic, or traditional Irish language, speaking locals. Today, the Irish language is spoken by a small minority of people as a first language, many of which are in Connemara. 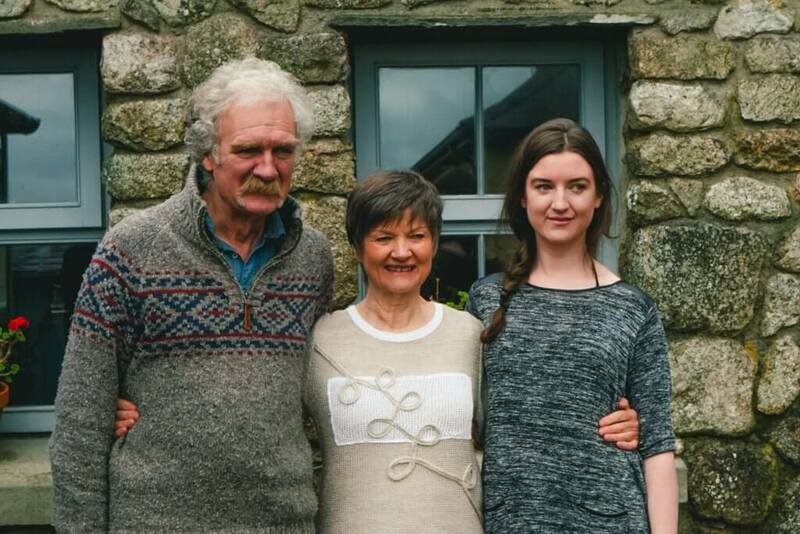 While many Irish people learn Gaelic in school, it is becoming a dying tradition and getting lost as each generation is born. For those without Irish roots, like myself, you may wonder why has the Irish language faded over the years? The biggest factor would be English colonization who ruled Ireland and discouraged the use of the Irish language. Then the Great Famine hit between 1845-1850 tragically wiping out 1 million out of the 8 million total Irish population. In addition, another 1 million emigrated starting a trend where more and more emigrated every year after to English speaking places like the United States. The final big blow to the Irish language would be the nationalism of education around the 1830s prohibiting teaching in Irish. Through these events, the language became almost lost. Children learn basic Irish in schools today, but they use English during their everyday lives so again the language is still barely holding on. 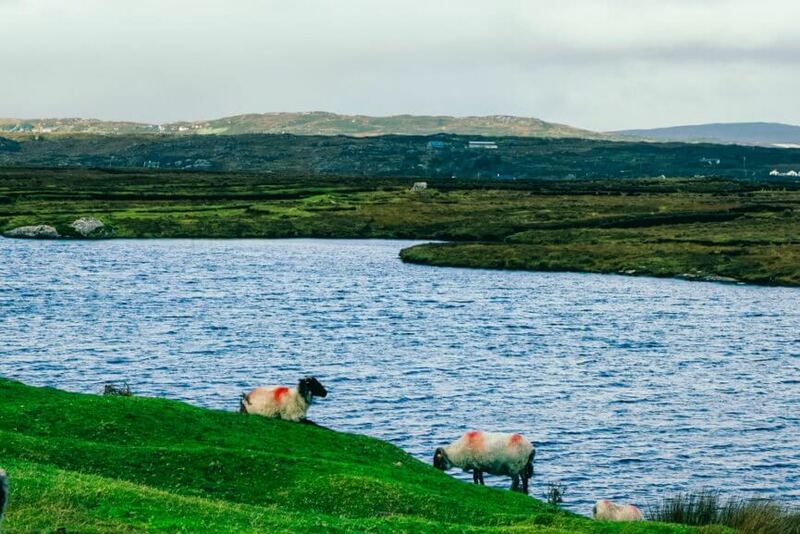 Besides in Connemara and the Aran Islands, the largest area in the country where Irish is commonly spoke and what makes this area so special to Ireland. If you’re interested in learning more about the history of the Irish language check out this great read by Whistling in the Wind. 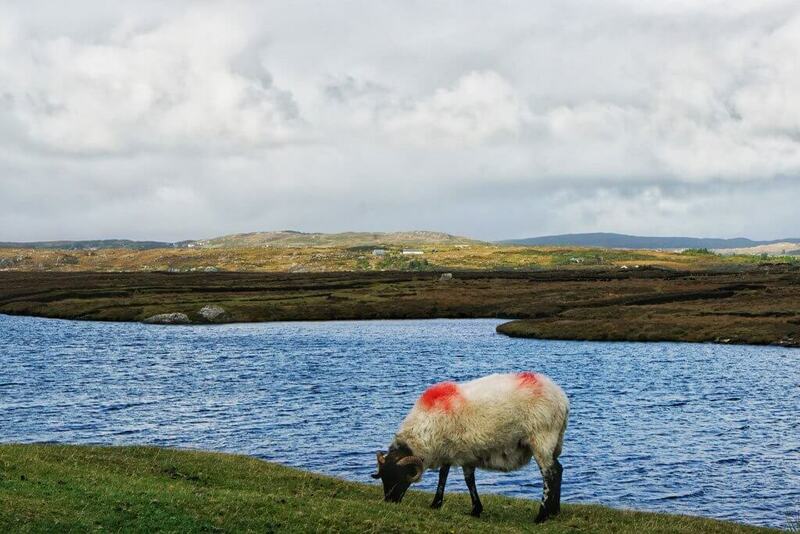 Besides having a strong community of Irish speaking citizens, Connemara is known for its strong association with Irish traditions and culture. We enjoyed an interesting cultural experience at Cnoc Suain cultural retreat in Spiddal. Located in the boglands and surrounded by mountains and bodies of water including lakes, the Atlantic and a river this cultural experience is unforgettable. 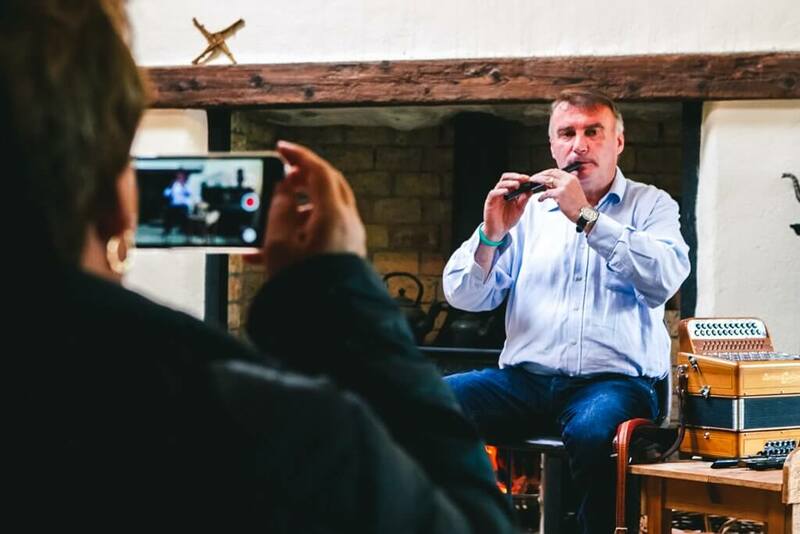 The cultural retreat is run by a lovely couple who wanted to share the culture of traditional Ireland and do as much as they can to pass it down and educate visitors so the traditions of their ancestors are not lost. The entire retreat is made up of a restored 17th-century hill village in the bogs. 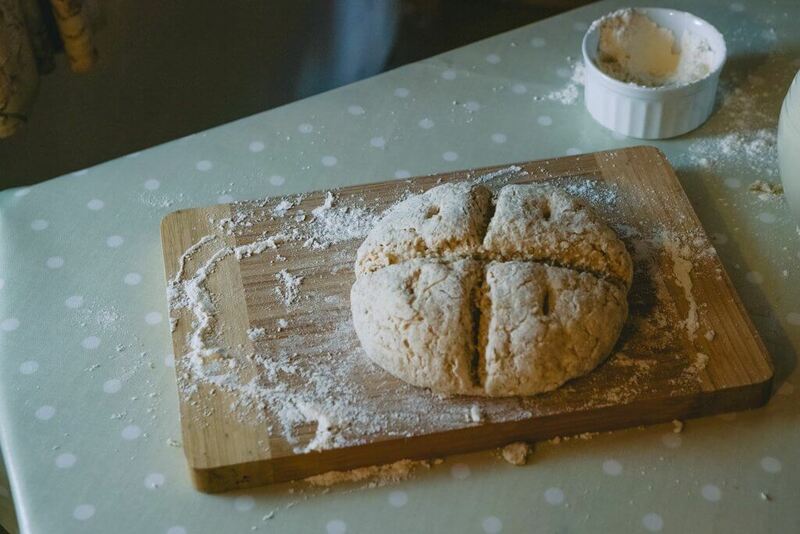 Spend a holiday sleeping in a restored countryside cottage learning about the local environment, staying warm with peat bricks made from the bogland, making soda bread, listening to traditional Irish music, and of course speaking Irish. 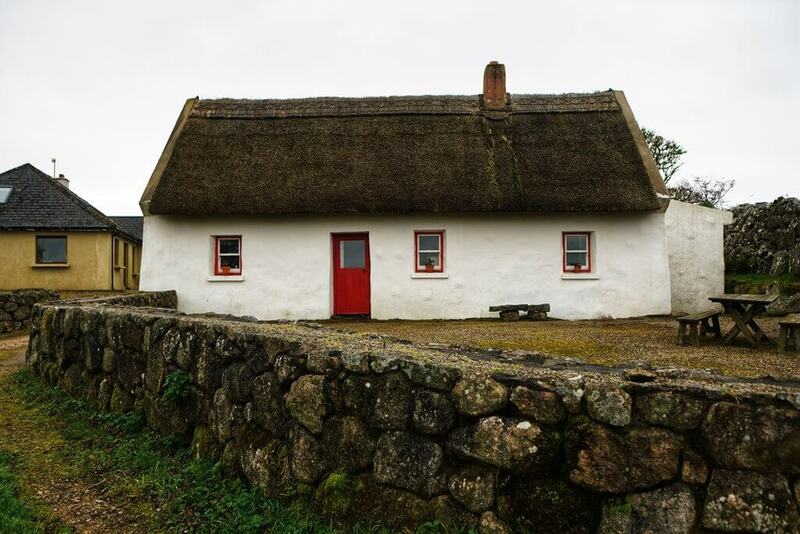 Cnoc Suain has won many awards both national and international for the cultural experience they provide for their guests as well as sustainable tourism. 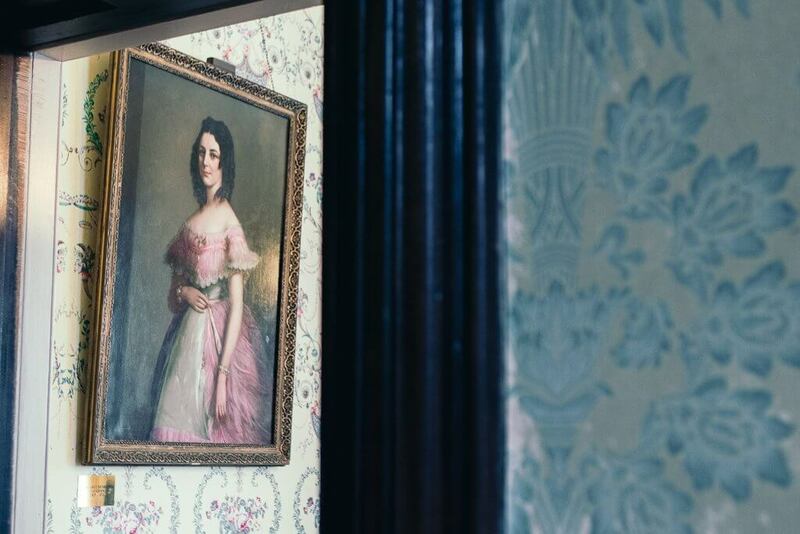 This is the perfect place to give yourself a digital detox and immerse yourself in a bit of culture and history during your travels. To learn more or plan your experience check out Cnoc Suain’s website. Connemara has a unique landscape that has inspired great artists, poets, and writers for centuries including Oscar Wilde who described the area as, “wild mountainous country…in every way magnificent.” With beautiful beaches, mountains, bogs, lakes, and the feeling of emptiness and solitude makes it a place unlike anywhere else. 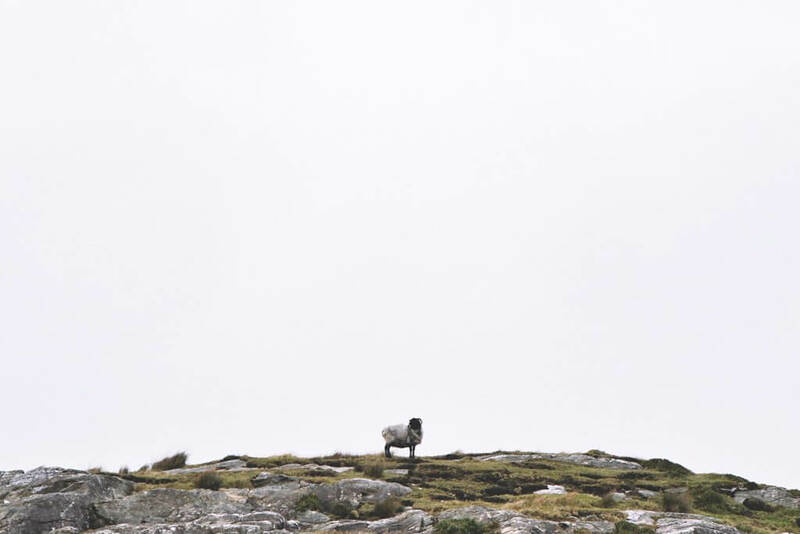 Positioned along the Wild Atlantic Way coast, Connemara is made up of multiple peninsulas. With its unique landscape, you often can observe wild weather patterns and even feel like you’ve experienced all four seasons in a day. The entire area of Connemara is full of unique beauty that everyone deserves to see for themselves. 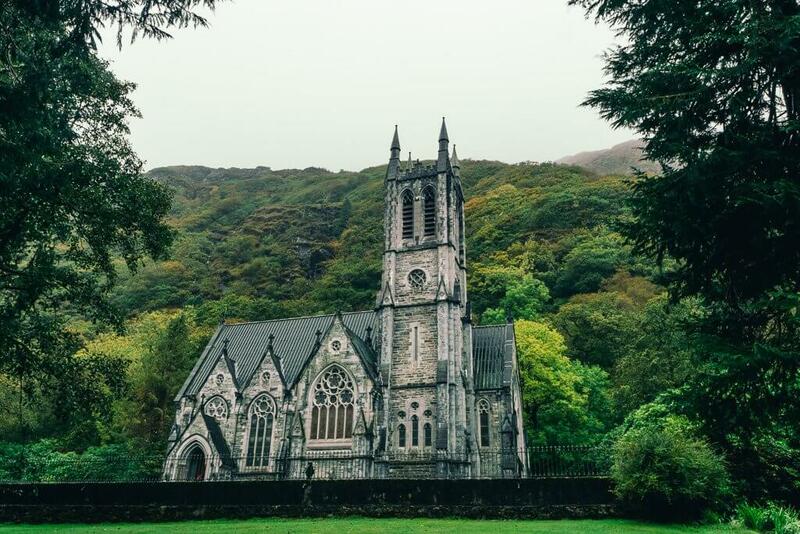 Besides current ties to Irish traditions and cultures, Connemara also has an interesting and fascinating global history that impacts all of our lives! 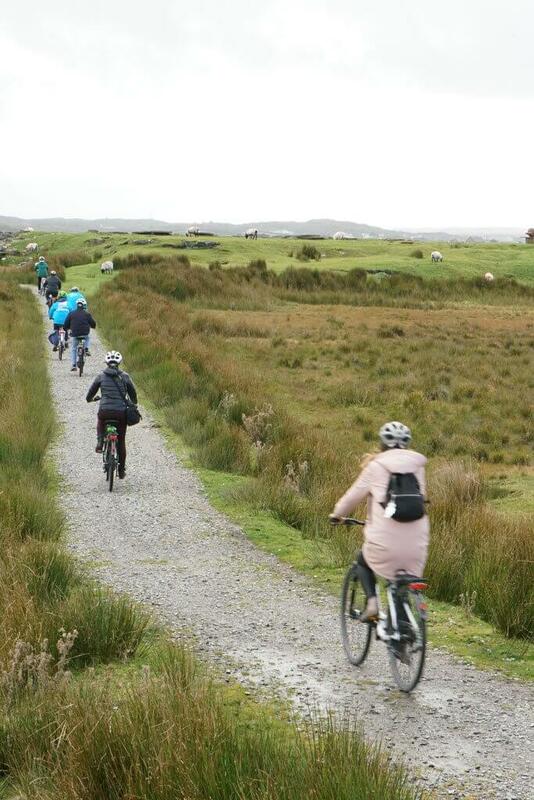 Walk or bike to Derrigimlagh loop to the locations of the world’s first transatlantic wireless Marconi station and the world’s first transatlantic flight landing. The first transatlantic wireless signal happened on October 7th, 1907 connecting from Connemara to Cape Breton Island on the other side of the Atlantic. Between these two spots, this became the first point to point wireless service in the world all thank to the father of radio, Marconi. Today, the original structures are gone but you can visit the site and just be awestruck by the history that happened here. In 1919, two British aviators, John Alcock and Arthur Brown successfully completed the first transatlantic flight from Newfoundland to Connemara. The flight was no easy task, battling with thick fog, difficulty taking off, barely missing the tops of trees, losing radio contact, heat, and a burst pipe that made so much noise conversation was impossible. Besides being completely terrifying, these two managed to pull of the first transatlantic flight. Today you can visit the giant marker to signify and remember this remarkable moment in history. 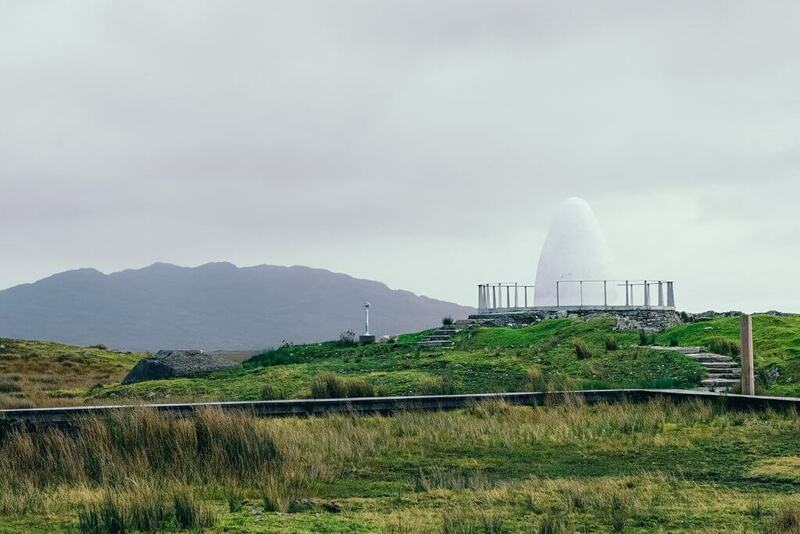 The monument sort of reminds us of the spacecraft in the movie Arrival. To see both of these historical points of interest you can visit the Derrigimlagh walking loop. If you plan on walking you should plan on about an hour to complete the loop. 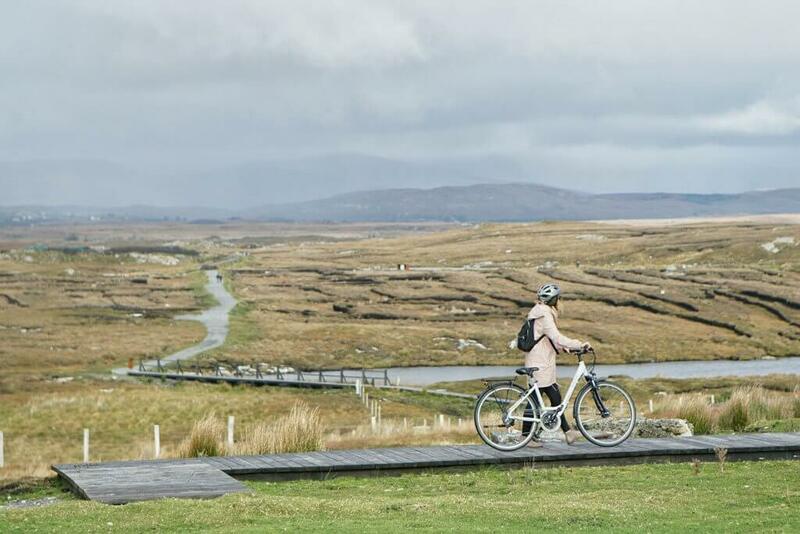 Or you can rent an electric bicycle with All Things Connemara. First a Benedictine monastery, then the building site for a private castle for the wealthy English family the Henrys who fell in love with the landscape of Connemara, then sold to the Duke and Duchess of Manchester who ended up losing the estate thanks to a gambling addiction, then purchased back by Benedictine nuns to turn into a private Catholic boarding school, to now a beautiful historical estate and abbey with a dramatic landscape that is admired by visitors and one of Ireland’s top tourist attractions in the heart of Connemara. The girls’ school just closed in 2010 before turning into a tourist attraction and many of the women who work at Kylemore Abbey today were once pupils at this very spot, including our tour guide. Besides having a fascinating history, the surrounding landscape is breathtaking and the architecture is worth admiring. 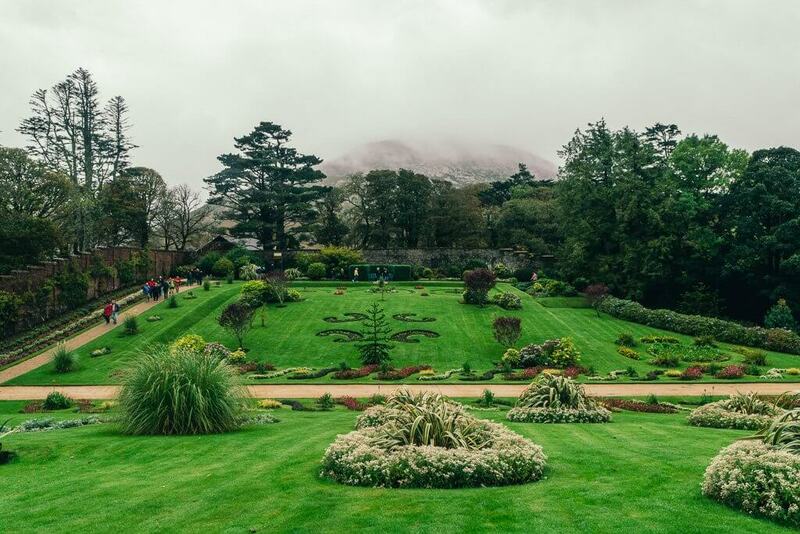 Explore the exquisite Victorian gardens which were known as one of the last great gardens of that period, tour the castle, peek inside the abbey, and admire the mountains and woodlands and lake that make up the surrounding views. 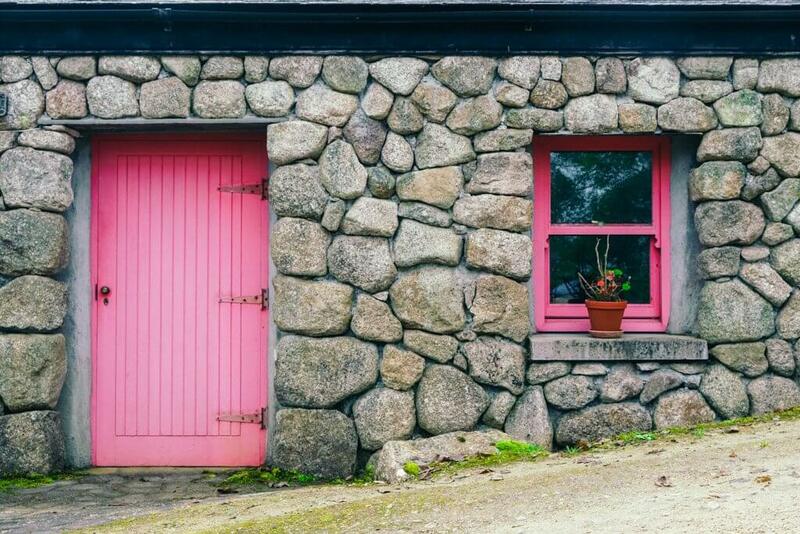 The entire property is amazingly picturesque and an incredible stop in Connemara. Want to see more amazing stops like Connemara? 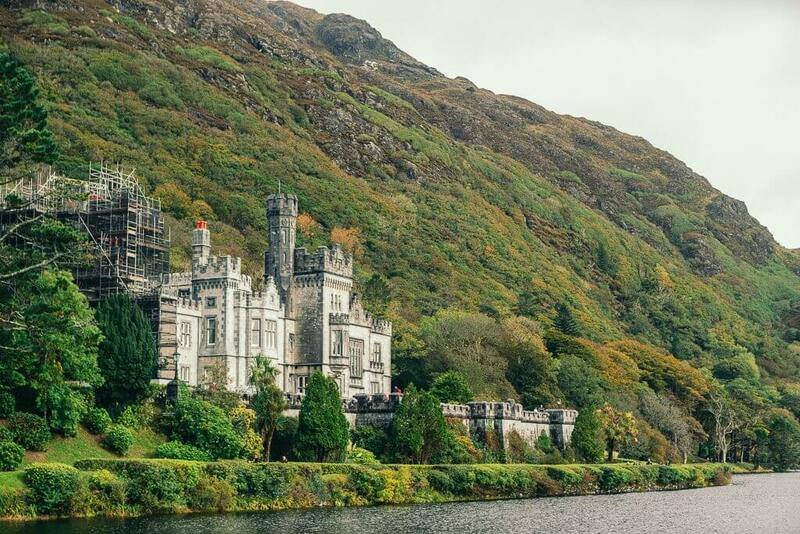 Check out this great Ireland itinerary by Sher She Goes. Or if you’re looking for more great stops along Ireland’s Wild Atlantic Way check out our experiences from a Perfect Weekend Getaway in Sligo, Why the Dingle Peninsula Stole our Hearts, The best way to see the Cliffs of Moher, and Kilkee – Ireland’s best kept secret.